Microsoft rolled out a small update for the iOS version of its Skype app today, introducing two-way high-definition video calls for the iPhone 5s and the ability to receive chat messages when the app is closed. Following the iPhone 5 and fourth-generation iPad in August last year, you can now take full advantage of the 8-megapixel rear-facing and 1.2-megapixel front-facing camera stowed on the iPhone 5s. 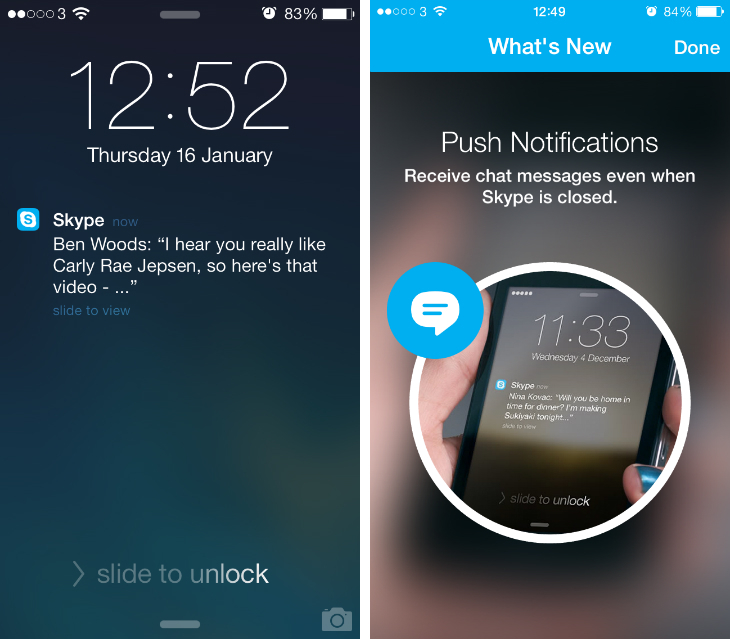 The second addition means that you can receive push notifications for chat messages on the lock screen of your iOS device. If you want to be kept in the loop, even when you don’t have the app open, this should prove a useful option for Skype aficionados.